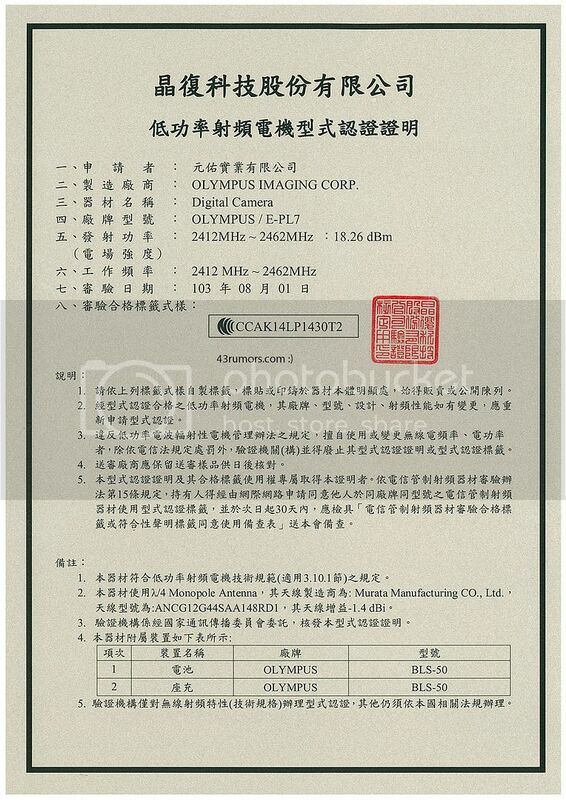 (FT5) New proof the E-Pl7 is coming: Official Taiwan document! Here is one more proof the E-Pl7 is a real thing. The image on top is an official document of the Taiwanese agency that registers new wifi capable devices :) Thanks to the anonymous source who sent me this!!! Specs are already known (article here). next post: (FT2): Updated 9mm lens specs. It has an f/1.8 aperture?